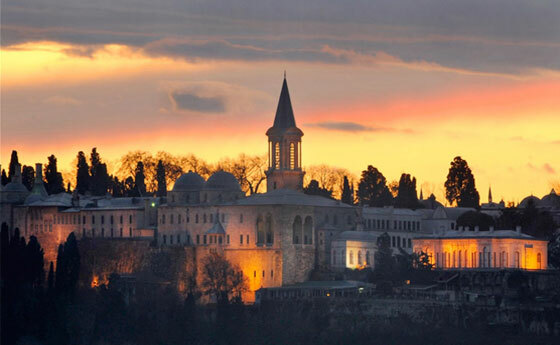 Topkapi Palace is about 15 minutes away from the Dosso Dossi Downtown Vatan Avenue by public transportation. This is a place you absolutely must see in Istanbul; with its glory and architecture, Topkapi Palace is enchanting the spectators. The palace was built by the order of Sultan Mehmet the Conqueror in 1478, and has been the headquarters of the state and the house of the sultans for 400 years, thus witnessing the great history of the region. Opened to its visitors during Abdulmecit's reign, Topkapi Palace still embraces it's visitors and with its mystery and signs of Ottoman architecture it bears, the palace is the center of attention of tourists. 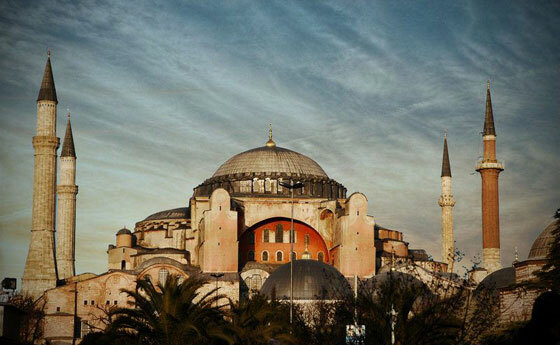 Hagia Sophia is about 15 minutes away from the Dosso Dossi Downtown Vatan Avenue by public transportation. You certainly should spare time to see this place. You will feel astonished with its infinity and magnificence. The building was built by the order of Justinian I, the Byzantium Emperor, originally as a church and Sultan Mehmet the Conqueror converted the church into a mosque. Hagia Sophia accepts a lot of visitors willing to feel and witness the history. 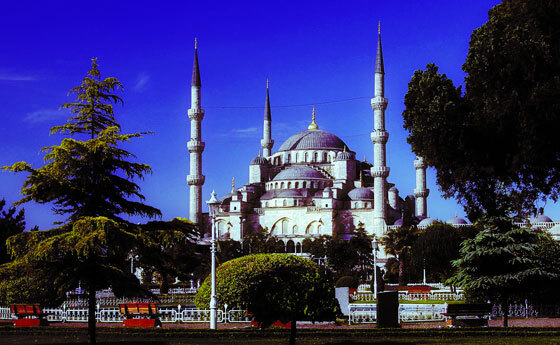 Sultanahmet Mosque is about 15 minutes away from the Dosso Dossi Downtown Vatan Avenue by public transportation. Located in Sultanahmet Square, Sultanahmet Mosque was built by the order of Ahmet I, an Ottoman Sultan, and doubtlessly is one of the oldest mosques of Ottoman Empire and Istanbul, and has a great historical significance and still popularly used as a mosque. Sultanahmet Mosque is called 'Blue Mosque' by tourists due to its decorations with blue, green and white Iznik tiles and the interior works of its semi domes and big dome were ornamented with hand-drawn figures predominantly in blue. The mosque's interior is enchanting with the perfectly covered tiles. 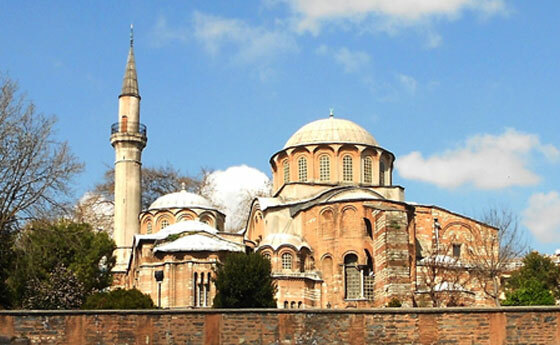 Following the conversion of Hagia Sophia into a church, the importance of Sultanahmet Mosque was increased and it kind of became the main mosque. Sultanahmet Mosque is one of the biggest complexes in Istanbul. Basilica Cistern is about 15 minutes away from the Dosso Dossi Downtown Vatan Avenue by public transportation. 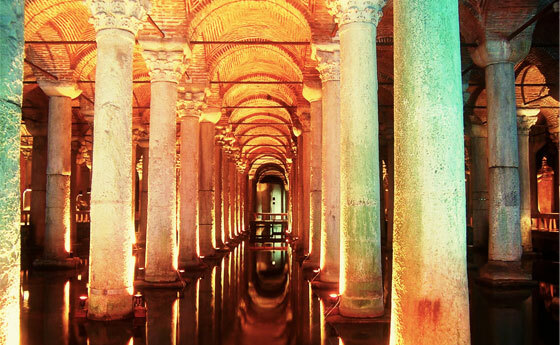 Basilica Cistern is one of the most mysterious places for not only tourists but for everybody. Its columns rising up through the water are really a must-see. Besides, there are many interesting stories on the cistern which are unknown if rumor or reality. The cistern provided a water filtration system for the Great Palace of Great Constantinople and even continued to provide water to the Topkapı Palace after the Ottoman Conquest in 1453. That's why it attracts the attention and curiosity of many tourists. One other reason that the cistern attracts the attention and curiosity of many people is the rumor that the figures that look like tears on the columns represent the tragedies of slaves who lost their lives during the construction of Grand Basilica. Grand Bazaar is about 10 minutes away from the Dosso Dossi Downtown Vatan Avenue by public transportation. This is the place tourists don't go back home without visiting. Grand Bazaar, means "The Covered Market", is located in the center of Istanbul and one the oldest and biggest covered markets of the world with its 61 covered sreets and over 3000 shops. 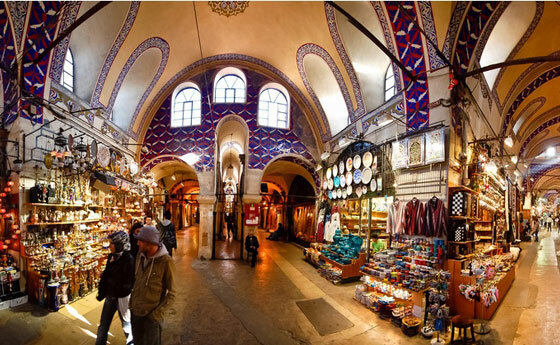 Grand Bazaar will attract your attention with its historical texture and for harboring a great deal of shopping stores. Grand Bazaar is one of the favorite places with its stores meeting the daily needs, so half a million people visit this place in any given day is not a surprise. Sultan Mehmet the Conqueror decided to build the Grand Bazaar for people exhibit and sell their products. Hagia Irene Museum is about 15 minutes away from the Dosso Dossi Downtown Vatan Avenue by public transportation. Originally built as a church, the museum is located in the first court of Topkapi Palace. 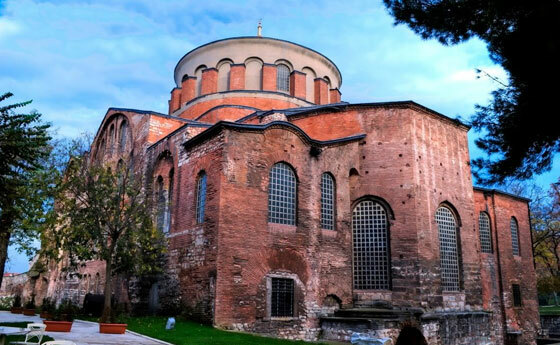 Along with the Hagia Sophia, Hagia Irene used to be one of the biggest and magnificent churches of Byzantium. Built in the sixth century during Emperor Justinian's reign, this church bears the typical features of Byzantium architecture.The church was dedicated by Constantine to the peace of God, and is one of the three shrines which the Emperor devoted to God's attributes, together with Hagia Sophia (Wisdom) and Hagia Dynamis (Force). Spice Bazaar is 20 minutes away from the Dosso Dossi Downtown Vatan Avenue by public transportation. 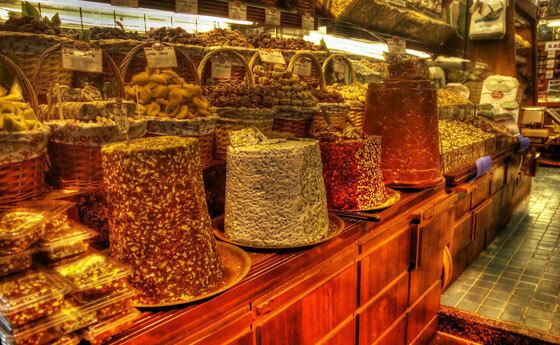 Together with the Grand Bazaar, Spice Bazaar is one of the oldest covered markets in Istanbul and herbalists, dried nuts and delicatessen products of the bazaar are still the most popular in the city. Tourists prefer the Spice Bazaar for shopping and sometimes even only to see this colorful and enjoyable place. Built by the order of Turhan Sultan in 1600, the bazaar will surely entertain you; it is very attractive and open on Sundays as well. You wil feel the specific smell of the bazaar the moment you enter in. It is one of the must-see places in Istanbul. 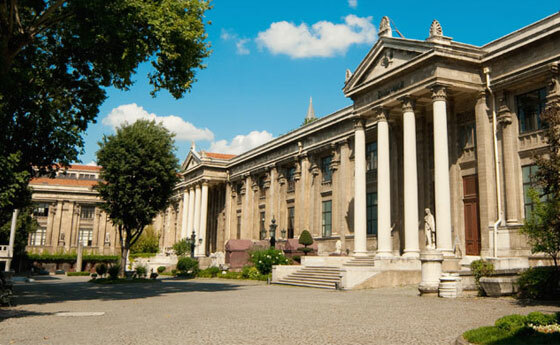 Archaeology Museum is 15 minutes away from the Dosso Dossi Downtown Vatan Avenue by public trasportation. The museum was opened on June 13, 1891, and expanded its collection rapidly. The Archaeology Museum, offers you a big scale of ancient masterpieces; you can see the sculptures of the Ancient Age from the Archaic Era to the Roman Era also the worldwide famous unique artifacts such as the Alexander Sarcophagus, the Sarcophagus of the Crying Women and the Sarcophagus of Tabnit that came from the Royal Necropolis in Sidon. On the upper floor of the two-storey building, there are the Treasury section, the Non-Islamic and Islamic Coin Cabinets and the Library. Suleymaniye Mosque is 15 minutes away the Dosso Dossi Downtown Vatan Avenue by public transportation. 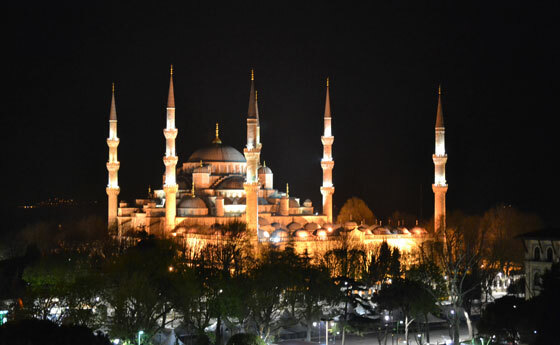 Suleymaniye Mosque will haunt you with its beauty; it is surely an architectural masterpiece. No doubt that he Ottoman Empire developed and advanced in16th century in every aspect. Suleyman the Magnificient reigned 47 years as the sultan which was the longest-reigning period among 36 other sultans. And he was the sultan who charged the Great Architecture Sinan with the construction of a mosque that will bear his name. Sinan was, with no doubt, a genius in architectural world, and he built this mosque and the surrounding big complex between 1550 and 1557. Chora Museum is 10 minutes away from the Dosso Dossi Downtown Vatan Avenue by public transportation. The church is considered as one of the most beautiful surviving examples of the Byzantine churches. The original meaning of "Chora" is 'outside of the city, countryside'. It is probable, this name given, to a small church built long before the construction of the city walls of Rome in the 5th century has also been the name of subsequent churches built in the same area. The surviving building is dated between 11th and 14th centuries. As well as its dynamic outer architecture, interior mosaic and mural decorations are considered as Renaissance masterpieces of Byzantium. Theodor Metochides ordered the building of the masterpieces with the additions made in 14th century.